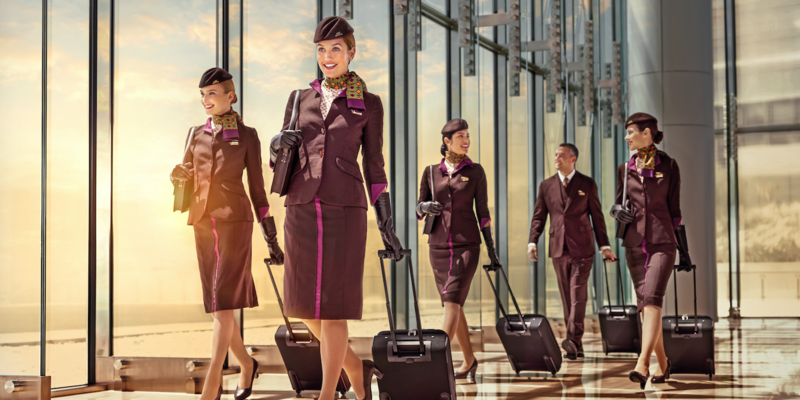 Etihad Airways, the national airline of the United Arab Emirates, is launching a major recruitment drive globally, seeking individuals with outstanding hospitality experience to join the airline’s cabin crew. This drive will include international recruitment days, which will take place in 19 different cities across Australia, Europe, the Middle East and Africa, including the United Kingdom, France, Slovakia, Tunisia and South Africa. See below for the schedule. Applicants interested in attending the recruitment days and joining the airline’s award-winning team of cabin crew should register in advance by visiting www.etihad.com/cabincrewrecruitment. “On the back of our recently launched ‘Choose Well’ brand campaign, these open days are more than just a recruitment drive. We hope to attract talented and enthusiastic men and women globally, to inspire and help them kick-start a tremendous career opportunity and life experience in the UAE with us,” added Celestino. Successful candidates will undergo a comprehensive training program in Abu Dhabi, which includes all aspects of cabin safety and service delivery. The training will be conducted at Zayed Campus, the airline’s training academy. Cabin crew are provided with tax-free income, company medical insurance, concessional travel benefits, transport, uniforms, fully furnished company accommodation in Abu Dhabi, and discounts on food and beverage and leisure activities in the capital of the UAE.